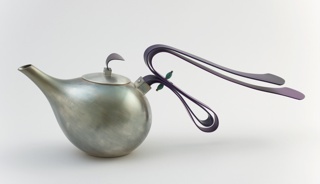 See more objects with the tag display, organic, adornment, tool, tendrils, art nouveau, exterior. See more objects with the color darkolivegreen peru darkkhaki khaki darkolivegreen or see all the colors for this object. This is a Door bell pull. It was designed by Hector Guimard. It is dated ca. 1905–10 and we acquired it in 1948. 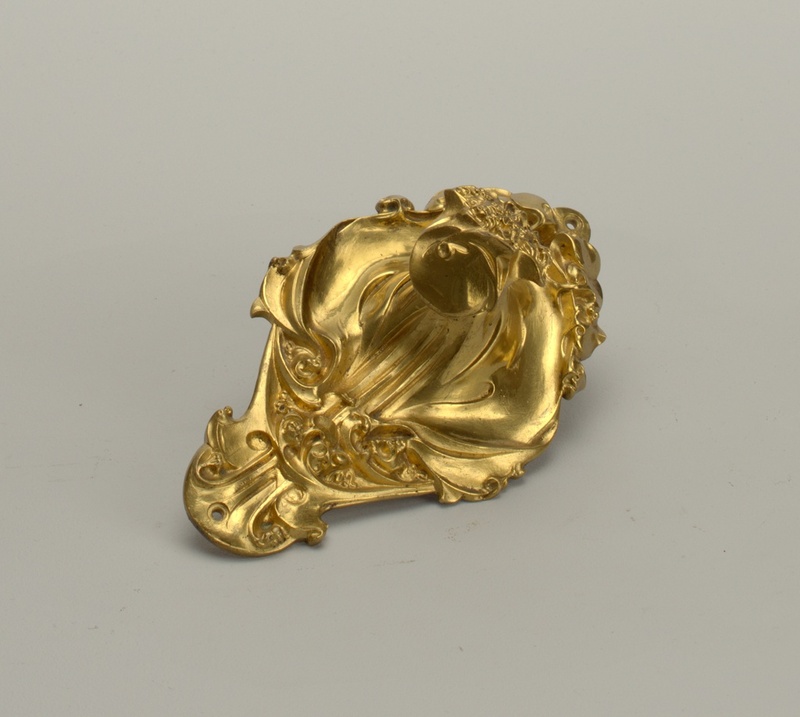 Its medium is gilt bronze, metal. It is a part of the Product Design and Decorative Arts department. Architect-designer Hector Guimard strove to create Gesamkunstwerks—buildings whose exterior and interior architectural finishings, furnishings, and decorative arts all work together to produce a total work of art in the Art Nouveau style. 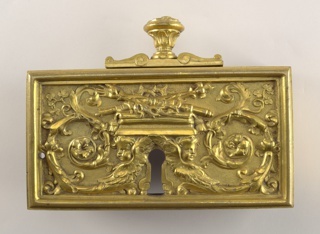 This door pull signifies Guimard’s interest in focusing on what may seem like even the minutest details. Although this interest in coordinated environments was typical of French Art Nouveau designers, Guimard’s skilled craftsmanship in a wide variety of media helped him to remove boundaries between “fine” and “decorative” arts. 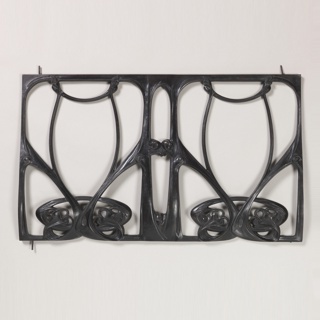 Typical of the Art Nouveau style and growing trend toward the turn of the 20th century, this door pull also represents the architect’s aesthetic, with sinuous, asymmetric curves. His interest in nature’s transformative processes can be seen in the abstracted floral motifs on the edges. It has been noted that Guimard has the ability to treat any medium as if it were clay—malleable, stretchable, lifelike—a skill epitomized in this doorpull.